Ever since Judaics teacher Mrs. Brackman’s ten-year-old son Shmulie was diagnosed with Leukemia, her students have been trying to come up with ways they can help. 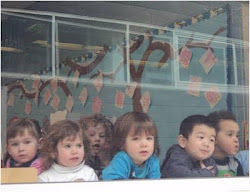 It began with the entire middle school saying one Perek (chapter) of Tehillim each day before going to class. However, students still wanted to do more. 7th grader Shira David, one of the leaders of Chesed Club, is trying to get enough people to commit to saying Tehillim/Psalms daily so that we can complete the entire book of Tehillim in Shmulie’s merit. If you are interested in participating, please contact Alise Gold. Other students have decided to take on a new Mitzvah in Shmulie's honor. The Mitzvot range from helping out more at home to adding a new Tefillah in their daily davening (praying). Once they chose a mitzvah, they shared it with Shmulie. Shmulie would love to hear from anyone taking on a Mitzvah. In addition, a group of 8th graders, including Sarah Winitzer, Jake Gordon and Aya Hamlish, came up with the idea of creating wrist bands to show support for Shmulie. They consulted with Shmulie (who loved the idea!) and decided on a color (orange) as well as the writing for the wrist band - “no one stands alone” - and #teamshmulie. The 8th graders will be selling these wristbands for $2 and the proceeds will go to Shmulie’s charity of choice. If you would like to purchase a wristband, please contact Alise Gold or come to the school office. We are so proud of everything our students are doing to show support and to pray for Shmulie’s full recovery. Please keep Baruch Shmuel ben Nechama Baila in your thoughts and prayers and feel free to contact us with any suggestions for future projects! Careful still lives created by our three-year-old preschool students. 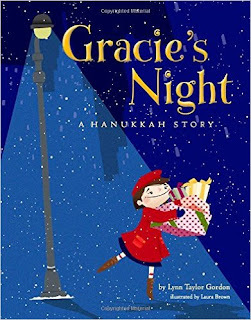 Books that rhyme are rare these days, and one that is not saccharine is even rarer, so Gracie's Night by Lynn Taylor Gordon comes as a special treat. It is refreshing and fun to read out loud (always a pleasant thing when you're reading to children!). Gracie's Night tells a contemporary and almost a secular story of urban life and its challenges. Many children will relate to this. Hanukkah only comes into play towards the end and delivers a welcome twist on what it means to do a Mitzvah, a good deed. Eve Bunting's One Candle transports us to another time even though it is set in what might be a typical suburban home. An extended family gathers to celebrate Hanukkah and to invoke the grandmother's annual ritual of remembering her crude efforts of lighting a candle in the concentration camp of Buchenwald. This book manages to gently marry the darkest hour of Jewish history with its light-filled and light-hearted yet historically-minded holiday. The sepia-toned, soft-edged illustrations give the book a magical feel while depicting ordinary kitchen and dining room scenes. 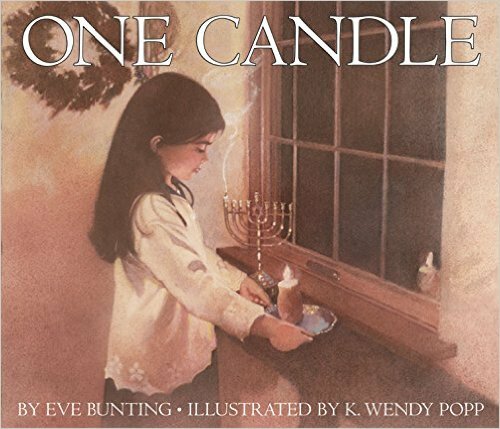 One Candle celebrates Hanukkah with depth as well as delight. Recommended by our librarian Thea Crook, who will be reading both books to her library visitors this coming week. Happy Hanukkah!